Attention, attention! It’s our favorite time of the year here on the farm…National Pineapple Month! 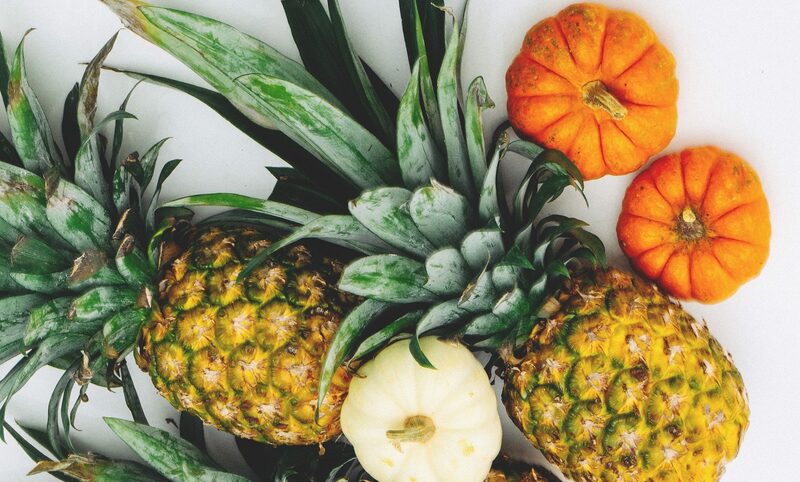 October marks the time of year to pick yourself up one of these delicious, healthy tropical treats to enjoy and share with family and friends. National Pineapple Month is dedicated to this tantalizing fruit, native to the Americas and first consumed by the Tupi people. So why is there an entire month dedicated to this tropical fruit? Well, because pineapples are amazing and delicious in so many different ways! 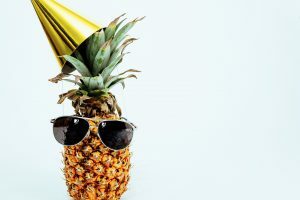 Historically, the pineapple has always been known as a symbol of welcome, friendship, and hospitality for social events. Back in colonial times, pineapples were expensive and rare. If the fruit was proudly displayed at an event, guests know that no expense had been spared in the party planning to make them feel honored and welcomed. The fall season is a perfect time to pick up your own Chestnut Hill Farms pineapple to share with family and friends! Not only will this a great way to celebrate National Pineapple Month, it is also one of the peak seasons for pineapple production. 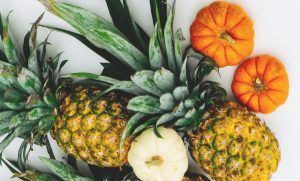 Celebrate the season with some savory fall pineapple recipes, with your welcoming pineapple proudly displayed for your all your guests to see. 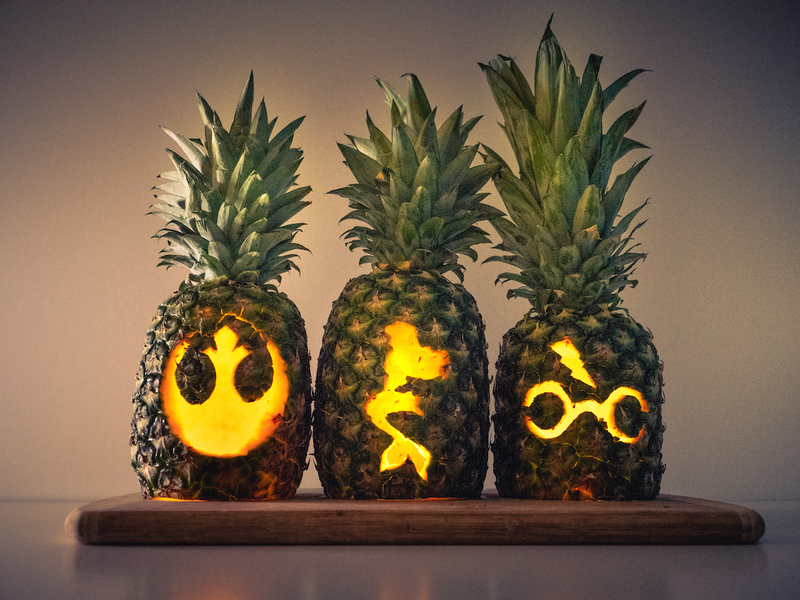 This season, try out a tropical alternative to the traditional pumpkin carving with pineapple jack-o-lanterns! This innovative holiday decoration can be created in just a few simple steps, and is bound to impress this fall season! Not only does a pineapple jack-o-lantern expand on a classic holiday tradition, it is also makes for a healthy snack for your loved ones. Once your pineapple has been cored and sliced for carving, there’s plenty of sweet fruit to be enjoyed! With cold and flu season right around the corner, this makes for a perfect way to boost your immune system and ward off sickness this fall and winter. While pineapples may make for a refreshing summertime treat or the perfect addition to a poolside cocktail, but fall is one of the best times of year to enjoy our pineapples while celebrating National Pineapple Month. While pineapples are available all year round, they are especially plentiful in the fall season. Remember that a pineapple does not ripen once it is picked, meaning that each and every pineapple available in your local produce department is ripe and ready to be enjoyed! 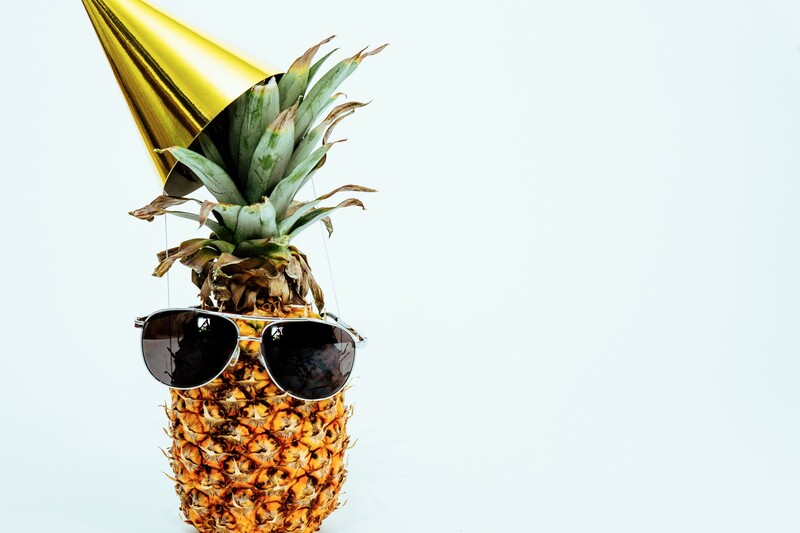 This entry was posted in Featured, Latest News, Recipes, Tips & Tall Tales and tagged chestnut hill farms, fall, fall pineapple recipes, health benefits, how to cut a pineapple, national pineapple month, pineapple. Bookmark the permalink.